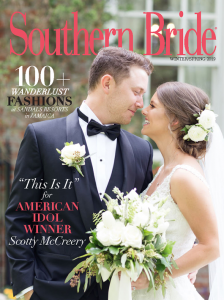 Scotty McCreery and his new bride Gabi Dugal McCreery will grace the cover of the Winter/Spring 2019 issue of Southern Bride. The magazine will be on stands in early January. 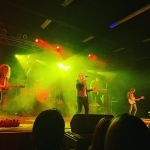 Fans can pre-order a copy now and have it shipped to them in mid-December. 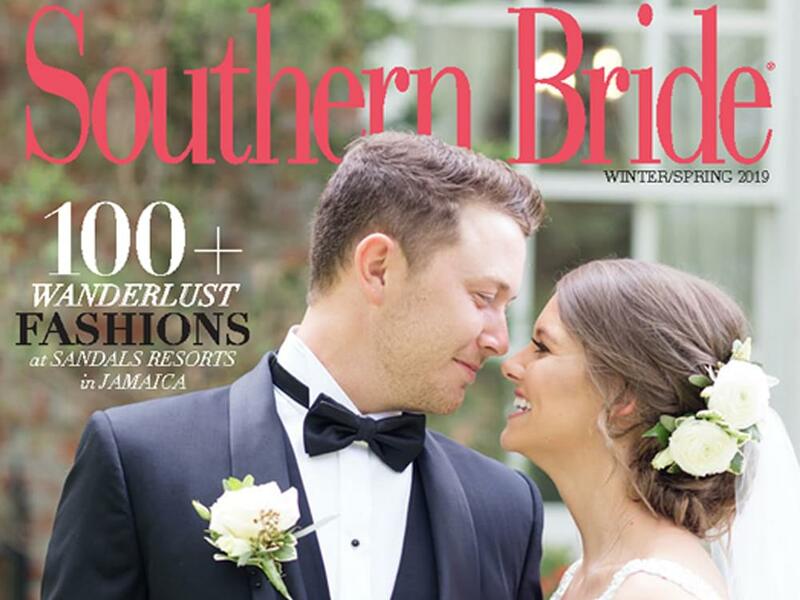 Scotty, 25, and Gabi, 24, tied the knot in North Carolina on June 16. Scotty and Gabi got engaged in September 2017 during a hike in the mountains of North Carolina near Grandfather Mountain. When the couple summited the mountain, Scotty got down on one knee, presented a ring he had helped design specifically for her, and asked Gabi to be his wife. The wedding ceremony, which was officiated by Scotty’s childhood pastor, was attended by more than 200 family and friends.